MILAN – Among the wealth of Fracino’s award-winning espresso and cappuccino machines exhibited at HOSTMilano will be the Velocino2. The UK manufacturer, which recently celebrated its highest ever turnover, exports to over 70 countries via a network of distributors. Among the third-generation family business’s customers are Subway®, Patisserie Valerie, Living Ventures Restaurant Group, AMT Coffee and Pathfinder pub chains. The stylish and robust Velocino2 is a unique and innovative 2 group hybrid espresso machine, constructed from the highest quality stainless steel, brass and copper components. Built to last many years, it delivers speed and consistency in high volume coffee bars and restaurants with high staff turnover. Its innovative ‘hybrid’ system combines the reliability and low maintenance requirements of a traditional machine with the ease of use of a fully automatic system. 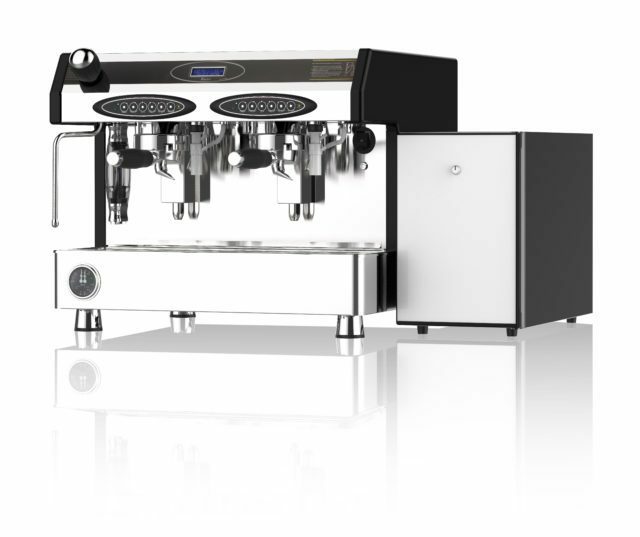 The Velocino2 is half the price of a comparable fully automatic bean to cup model and, without the complex technology, maintenance and expense, runs at a fraction of the cost. Requiring minimal barista training, it enables the operator to produce two 12oz drinks at the same time – ensuring consistent, premium quality drinks – no matter how inexperienced the operator. A simple control panel features a colour-coded system with basic instructions, tactile switches and high intensity LED indicator lights. An easy to read LCD display gives instant feedback on the machine’s status for minimal operator error. Equipped with a large capacity boiler with powerful heating elements, it features an easy to operate pre-programmed menu and is easy to clean with limited wastage. Among the features of its pioneering engineering are a 4 component milk frother system, milk fridge, adjustable needle valve and key lock. A wide variety of hospitality venues are reporting that the Velocino2 is working extremely well for them – producing a range of coffee drinks simply, efficiently and quickly – especially at busy periods, where problem-free consistency of taste and quality are vital.